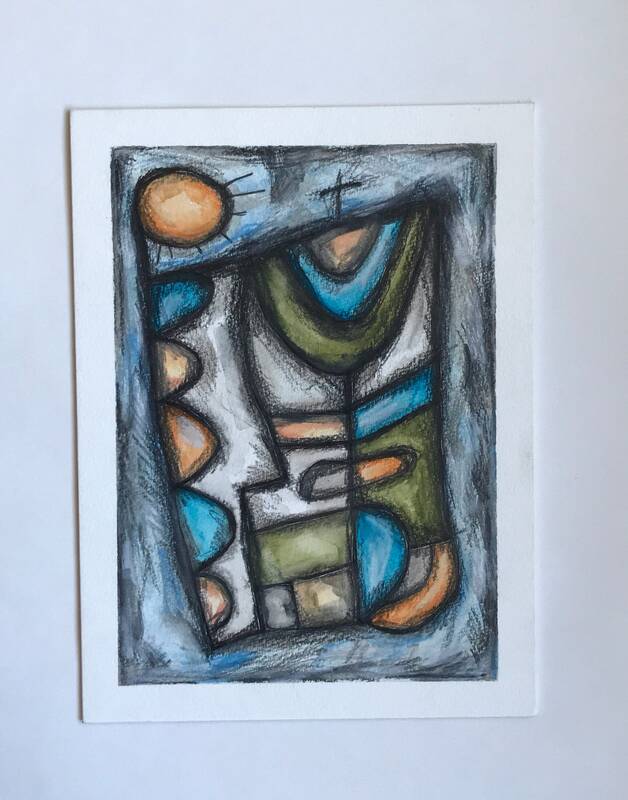 This listing is for a small mixed media abstract artwork. It measures 8 inches by 6 inches. It was made using a combination of watercolors, wax pastels, colored pencil and charcoal on watercolor board. It will arrive unframed.